"Superconductivity is perhaps one of the last great frontiers of scientific discovery that can transcend to everyday technological applications," Maddury Somayazulu, an associate research professor at the GW School of Engineering and Applied Science, said. "Room temperature superconductivity has been the proverbial 'holy grail' waiting to be found, and achieving it—albeit at 2 million atmospheres—is a paradigm-changing moment in the history of science." "We believe this is the beginning of a new era of superconductivity," Russell Hemley, a research professor at the GW School of Engineering and Applied Science, said. "We have examined just one chemical system – the rare earth La plus hydrogen. There are additional structures in this system, but more significantly, there are many other hydrogen-rich materials like these with different chemical compositions to explore. We are confident many other hydrides—or superhydrides—will be found with even higher transition temperatures under pressure." The next theorised hydride with Room Temperature Superconductivity is Ytterium hydride - YH6 and YH10 are superconducting at 290 and 310 K, according to molecular simulations. It sounds like they are just trading one very hard to produce environment (extreme cold) for another very hard to produce environment (extreme pressure). Clarke's First Law: When a distinguished but elderly scientist states that something is possible, he is almost certainly right. When he states something is impossible he is very probably wrong. "This resulted in a new structure, LaH10, which the researchers previously predicted would be a superconductor at high temperatures." Please write an article describing how predictions of superconductivity are arrived at. Where can I read about how these simulations are done and how the predictions are arrived at? Can you recommend any links or books? Google is your friend- search for "ytterium hydride superconductive"
Can't figure out how to search for an article or subject on Google but you are going to read about how superconducting predictions are arrived at. Something doesn't add up here. Prediction? All these observations occur while the test sample is at immense pressure. 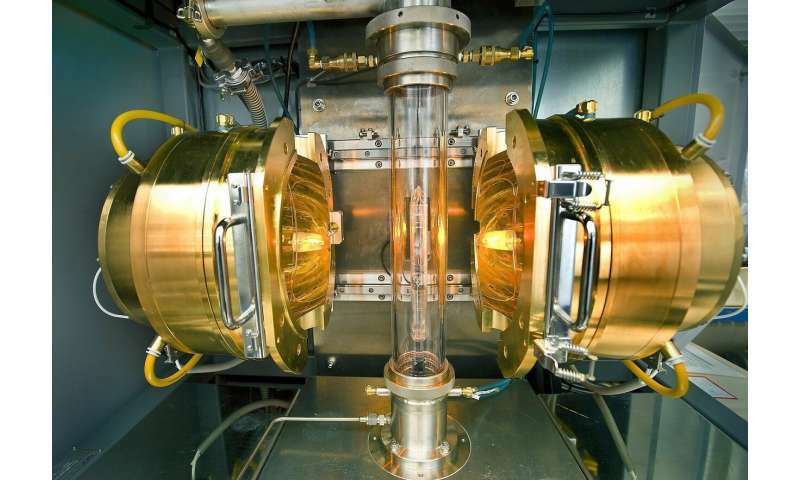 (in this example 2 million atmospheres) Once room temperature super conductivity is reached, could this test sample then be encapsulated within a Q diamond? This could mimic the pressures obtained by the diamond anvil and improve versatility. look for really good superconductors in the future. They may come from the alkali metals. What current density versus magnetic field curves are these materials predicted to have? They are often more useful properties (for engineering applications) than a high critical temp.